Last season was not a typical season for Dirk Nowitzki. The sharpshooting German has spent his entire career with the Dallas Mavericks, and like the familiarity of seeing him in Dallas blue, Nowitzki’s career has been similarly consistent. Entering last season, Dirk had started all but one game since his second season, had 12 consecutive seasons scoring more than 20 points per game, been selected to 11 straight All-Star games and made 12 uninterrupted trips to the playoffs. By the end of the season, all of those streaks had come to an end. Knee surgery in October 2011 delayed Dirk’s return to the court, and when he finally did suit up in late December he was kept on strict minutes limitations and was forced to come off the bench. Surgery coupled with 15 years of NBA wear and tear also meant that, even when the minute restrictions were lifted, it took several months for Dirk to play himself into shape and form. Even though he began to come on strong in the later stages of the season, his numbers were affected nonetheless and his 17.3 points per game were the lowest since his rookie season. And as it has been for the best part of two decades, when Nowitzki struggles, so do the Mavs. Although they finished with a 41-41 record, it wasn’t enough to keep a 12-year streak of playoff appearances alive. No matter how long their beards grew. In the wake of his Finals MVP-winning performance in 2011, it was generally accepted that Dirk was now entering the twilight of his career. He’d finally proven he could lead a team to the ultimate success, and exercised some of his Miami demons in the process. Now it was time for a new phase in Dirk’s career, the defending of his title, a honour lap with all of Dallas in tow. However, Mark Cuban had other ideas. In the wake of their upset Championship win, the boisterous owner disintegrated his team one season and then disembowelled it again the next. All in the hope of landing a big name free agent to pair with Nowitzki. Unfortunately, Deron Williams, Dwight Howard, Chris Paul, Josh Smith and even Andrew Bynum turned down Cuban’s offers. The Mavericks shocked the NBA world when they won their first championship, two years latter and they shockingly didn’t even make the playoffs. After the dust from the Cuban clear-out settled, only Nowitzki and Shawn Marion remained from that Heat-conquering team of 2010-11. 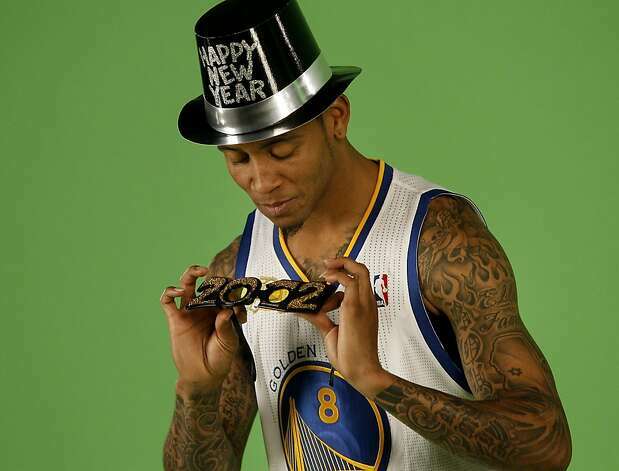 Tyson Chandler has become Samuel Dalembert, Jason Kidd turned into Devin Harris, and Jason Terry is now Monta Ellis. And although the new-look Dallas Mavericks might seem like a bizarre bunch, so was the team that took out the title in 2011. 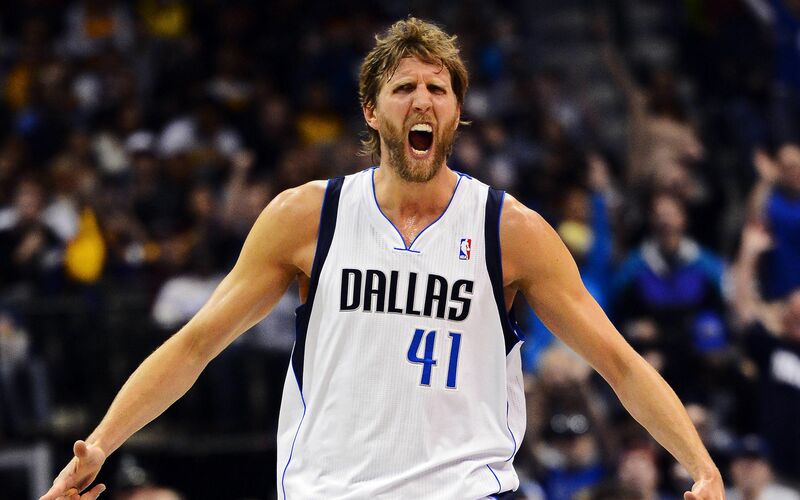 One thing remains consistent – Dirk Nowitzki. Dirk is still one of the purest shooters in the league (56.4% true shooting last season), he still has range out of the gym (41.4% from deep) he is still a nightmare mismatch on defence, and his one-legged fadeaways are still often imitated, but never duplicated. The Mavericks are again building towards free agency next season, but don’t be surprised if Dirk and his ragtag collective of running mates can make a hearty push towards the playoffs. In the middle of it all, amongst all the chaos (32 teammates in two seasons), you’ll still find Dirk putting up numbers. Only eight players in NBA history – only three active players – have spent at least 15 seasons with the same franchise, Nowitzki is one of them. Last season might not have been Dirk’s best, but there are some streaks that just refuse to come to an end.